The net pay of single income earners on €35,000 is down 3% or €964 compared to 2008. WORKERS ACROSS ALL salary levels in Ireland are still paying more personal tax than they did a decade ago. This is according to a pre-Budget report by the Irish Tax Institute which is being launched today. The report, which looks at the combined levels of income tax, USC and PRSI, shows the more a person earns, the greater decrease in their net pay over the ten years. The net pay of single income earners on €35,000 is down 3% or €964 compared to 2008 while those on €75,000 are down 5% or €2,800. Families with two incomes of €35,000 are down 3% or €1,928 while families with two incomes of €75,000 are down 5% or €5,590. The institute points out that this increased tax bill remains despite a programme of reductions over the past seven years, like the increases to USC entry points, USC rate reductions and increases in the entry point into the top rate of income tax. 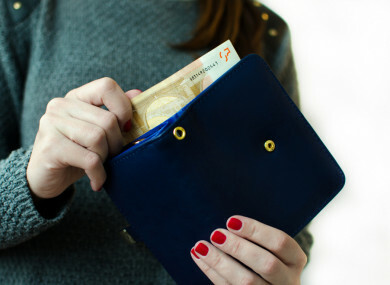 The benefit of the income tax reduction was not passed on to all taxpayers as a new 8% USC rate was introduced on PAYE income over €70,044 and a new 11% rate was introduced on self-employed income over €100,000. The employee PRSI ceiling of €75,036 was also abolished during that period, increasing the PRSI bill for income earners over that salary level. “The big driver of the increasing level of progressivity between 2012 and 2018 is the USC,” the institute said. A worker on €100,000 used to pay 3.6 times the USC of someone on €35,000 in 2012 and that has now increased to 5.3 times, according to the report. Email “Workers across all salary levels paying more tax than they did 10 years ago”. Feedback on “Workers across all salary levels paying more tax than they did 10 years ago”.